What do you do when you are not writing? Hopefully reading! Before I started writing, I read all the time. Hours would go by and I wouldn’t even notice. Now, I almost have to schedule the time to read. But it’s one of the things I enjoy most and if you want to be successful at writing, it’s critical that you read. When did you first start writing and when did you finish your first book? I’ve been writing since I knew how to form words. But it wasn’t until two years ago that I got the urge to share my stories. How did you choose the genre you write in? This has just now sunk into me that I want to do thrillers with romance, psychological thrillers, suspenseful thrillers, etc. I’ve written two books already that are romantic suspense and military romance. I love them so much, but I will be focusing on thrillers…at least that’s what I’m gearing towards right now. I seem to enjoy writing them more, but I will occasionally do other things. It keeps me excited about writing. Do you ever experience writer’s block? Find me a writer who doesn’t. Although you might know the gist of your story, sometimes it’s the ‘leading up to’ that’s the hardest for me. But I always try to take a step back and think of my characters as real people. What would they do? What would they want to happen? It seems to always help. Is anything in your book based on real life experiences or purely all imagination? Walls of Ainsley & Heart of Ainsley both have exaggerated real life events. My childhood wasn’t the greatest. Writing is how I cope. It’s easier to express myself through my characters than in real life. You’ll have to read Heart of Ainsley (book 2) to understand a little more perhaps. My character Scarlet has some characteristics of me in her. But as I mentioned, it’s all loosely based. What was your favorite chapter (or part) to write and why? Such a great question! I have so many. Any with Brigham were my favorites, but I loved the therapy session with Brigham and Todd, and of course the ending to book 1. In book 2 I loved writing when Scarlet finally gets to see him again and how different he is. What project are you working on now? A romantic thriller. How romantic is yet to be decided. Are there certain characters you would like to go back to, or is there a theme or idea you’d love to work with? Brigham! He was so fun to write. He’s mysterious, not the norm, and has characteristics that you can’t help but fall for him. He’s definitely a character I came to truly believe in. There’s a Brigham in all of us. Do you try more to be original or to deliver to readers what they want? I always strive to have originality of some sort in all my books, while still giving readers what they might want. However, I’m always ready and eager to give you something different. I get bored with cookie-cutter stories. How did publishing your first book change your process of writing? My first book “Through the Fog” I tried for romantic suspense. It involves a Duke and a nurse who has to take care of him while he’s in a coma. I love reading stories about a woman taking care of a broken man, and a broken man needing a woman’s love. Looking back, I would have made it a bit darker and have the goal of one day doing so. What was your hardest scene to write? The ending of Heart of Ainsley…book 2. I didn’t want to be done with the story. S. J. Lynn is a romance author with varying subgenres. She loves creating stories that grab her reader’s attention from beginning to end… Stories that take you right into the world of her characters. Love, hope, loss, betrayal, action, suspense, mystery, thriller… She strives to do it all. 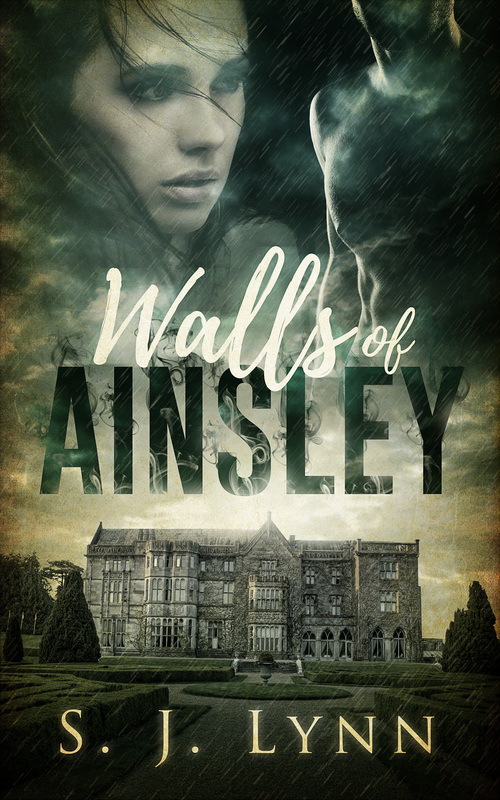 Walls of Ainsley is her latest novel to reach the top 10 in the psychological thriller genre with its sequel “Heart of Ainsley”. Every story has had a tremendous loving reaction from her readers that fuels her desire to keep on doing what she loves. Lynn invites you to connect with her on social media where she loves to get to know her fans.